Although dragon tattoos are more commonly seen on men, women are now being drawn to these mystical creatures as tattoo choices. A recent smash movie of the same name has created a rise in the popularity of this style of tattoo. 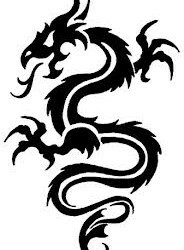 The dragon tattoo symbolizes qualities like strength, courage, wisdom and power. There are many variations of this design. Many are exceptionally beautiful with striking colors and have become favored by female celebrities like Angelina Jolie, who displays a dragon tattoo on her upper left arm. Dragons mean different things to different people. Men often identify with them because strength and power are generally important to them. Women see dragons as a representation of the creator and protector of life, just as they often see themselves as creators of life and protectors of children. If you are looking for a tattoo design that is uniquely yours, a custom tattoo may be the answer. There has been an increased interest in this approach over the past few years. People are looking for designs that distinguish them from everyone else. There are several ways to develop a custom design. 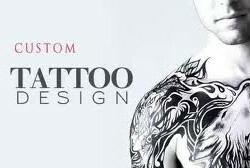 But before you begin, it is important to consider where you want to place your tattoo, its size, its color and its style. 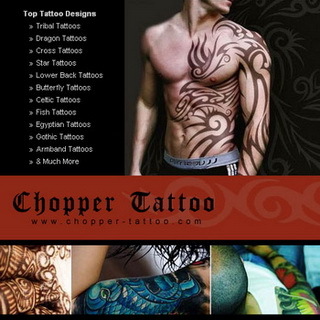 Where you place a tattoo will have an effect on the design. Your body has many curves, and unless it is very small, the design will need to flow with the lines of your body. As you age, some parts will be more subject to “wear and tear.” Another consideration is that some of the more protected body sites are particularly tender. Have you ever been awed by the beauty of Maori tattoo? Have you wondered where the designs originated or whether it is possible to have one for yourself? A Maori tattoo, or “moko,” is steeped in tradition. It is a form of body art that the Maori people brought from Polynesia to New Zealand hundreds of years ago and is considered to be highly sacred. Beginning at a person’s adolescence, tattoos were traditionally applied as a “rite of passage” and then repeated periodically as a celebration of significant events in a person’s life. The designs were often symbols of rank, social status and prestige. Since each individual is unique, each Maori tattoo is unique as well, with complex patterns that involve intricately designed, curved shapes and spirals. Wings represent the ultimate power of flight. The ability to fly away touches a deep yearning in people to break free from whatever is holding them back in life. 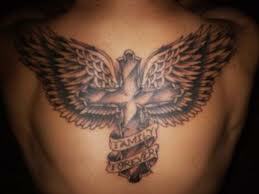 At the same time, wings can also depict protection and guidance. This is especially true of angel wings. People who display angel wing tattoos often feel that they have the freedom to take their lives in a different direction and still be protected in that move. Tattoos have been around for thousands of years. Its origins most likely lie in ancient Egypt. Throughout the years, different cultures have used many different tools and methods. As society evolved, so did technology, and today’s methods are far different than those of ancient times. Essentially, a tattoo is the placement of pigment into the second layer of skin (the dermal tissue that lies below the epidermis) to create a design. Some tribal cultures cut channels into the skin and then rubbed in ashes, inks or other agents. Other cultures used sharpened sticks or animal bones to hand-tap the ink into the skin. 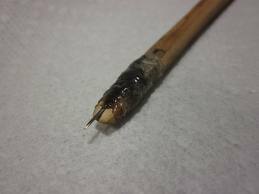 The traditional Japanese method still uses non-electrical, hand-made tools of sharp bamboo or steel.